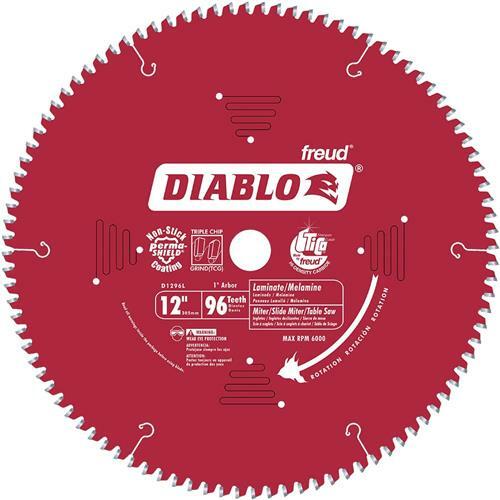 This blade features a thin kerf triple chip design that is specially designed to cut laminate flooring (Pergo, Armstrong, Swiftlock), double-sided laminates and melamine cleanly, leaving a smooth finish with no chipping or tear-out. The Tico Carbide tips are an exclusive formulation manufactured by Freud that is extra hard and durable, and lasts longer by withstanding abrasive materials like laminates. The thin kerf wastes less material and requires less power from the user and the saw.